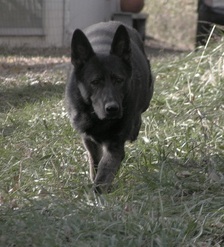 We leave our past males on this page so that you may see the history of our kennel. Many of the puppies born in our kennel today are grand puppies and great-grand puppies from the dogs we started with many years ago. ​We've personally known our dogs' bloodlines for many generations which enables us to continue selecting the best characteristics for future generations. Andre vom Schattendal, otherwise know as Nemo, and Olaf Destro Dietrich are both gone now, and we miss them dearly. Between the two of them they taught us so much of what the GSD breed is all about. The true meaning of loyalty to family, courage in all situations, intelligence far beyond the limitations most people think of as smart dogs. And finally there is the deep abiding love they had for us and we had for them. They made our lives richer by their presence here. Truly special boys. ​Rest in peace, Nemo and Destro. Hessel was widely renowned for his toughness and serious working dog capabilities. as of 2012 Urxi is 11 yrs old and still going strong. 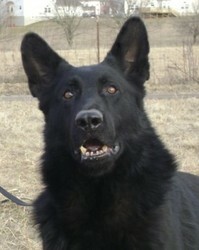 He also still holds the record of being the youngest dog in Czech history to receive all his titles.